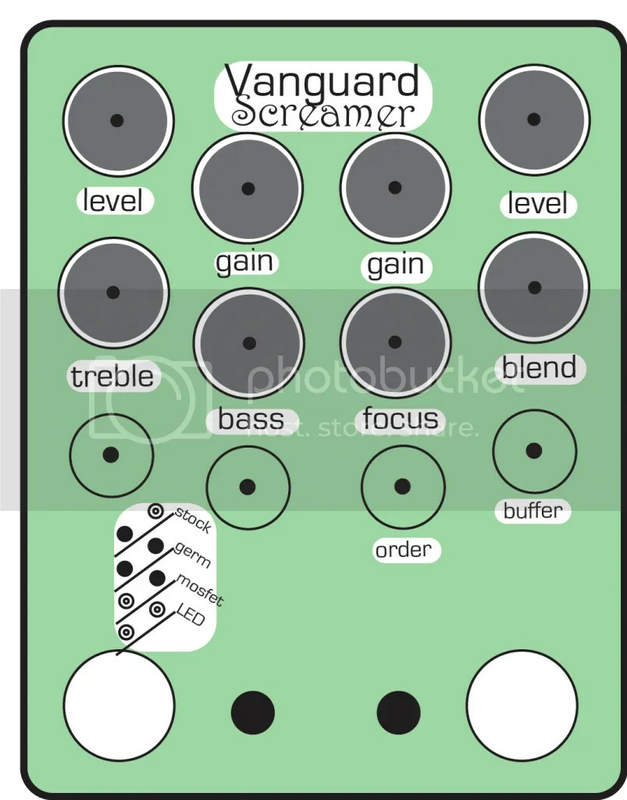 My take on a Tube Screamer. 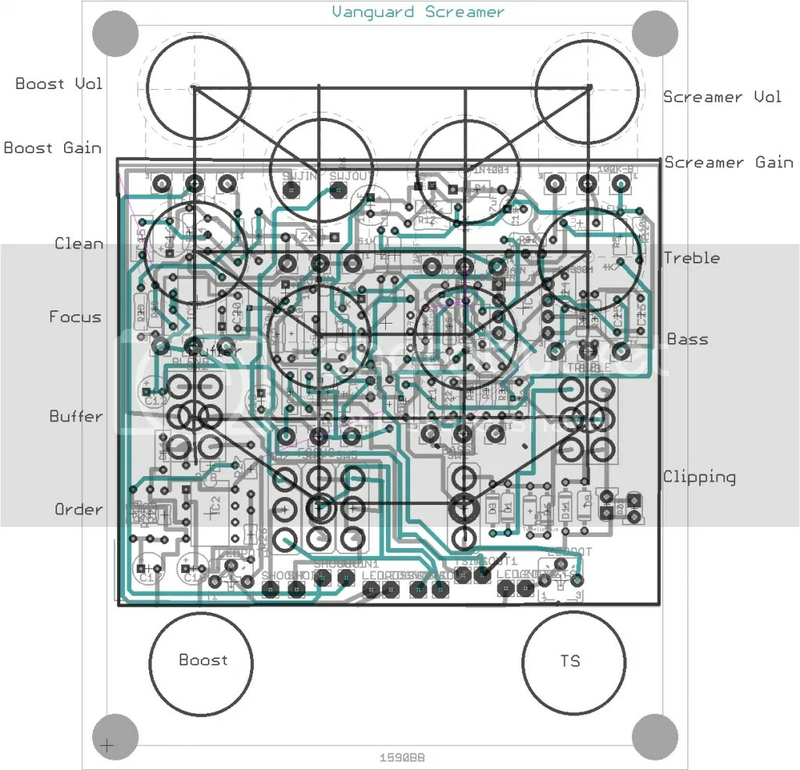 Started with a classic Ibanez TS808 base and added some of the features I would like to see on a Screamer. Not the final graphic, still looking for inspiration. Also not sold on the name. 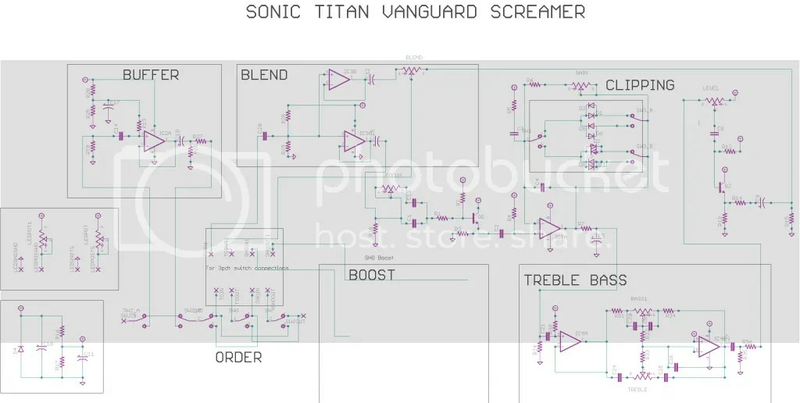 But the “V” in Vanguard kind of suits the V pattern of the knobs. As for the Boost section, I’m still playing with the SHO type boost on breadboard. It’ll be fairly different by the time I’m done with it. Love that sparkle and clarity of the MOSFET. Will post a bit for info when time permits but currently exhausted as just spent the whole day becoming officially “employed”. 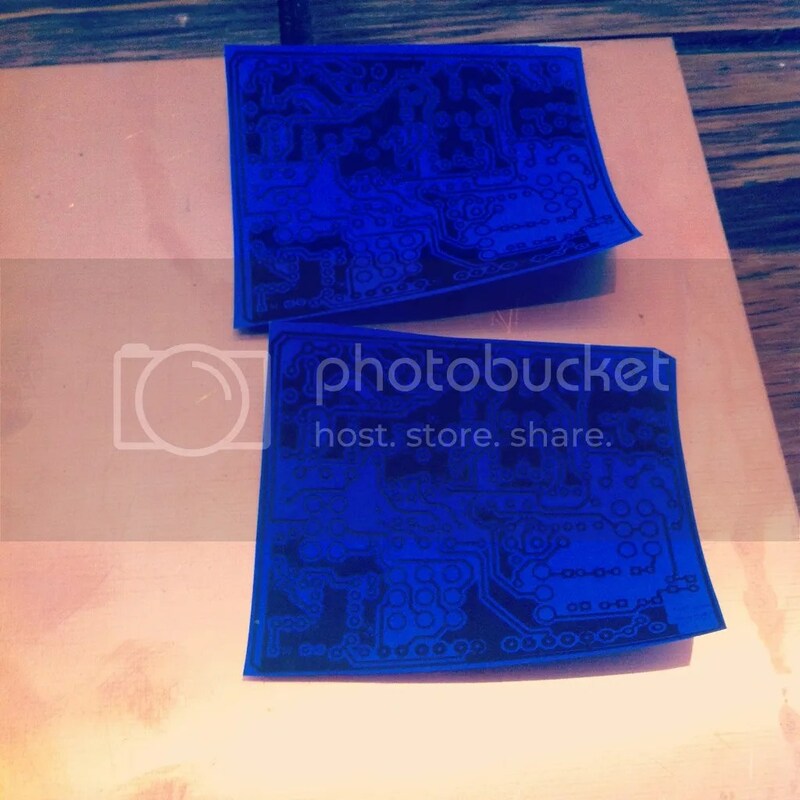 Will be building a prototype over next day or two – first time I’ll be etching a double sided board. 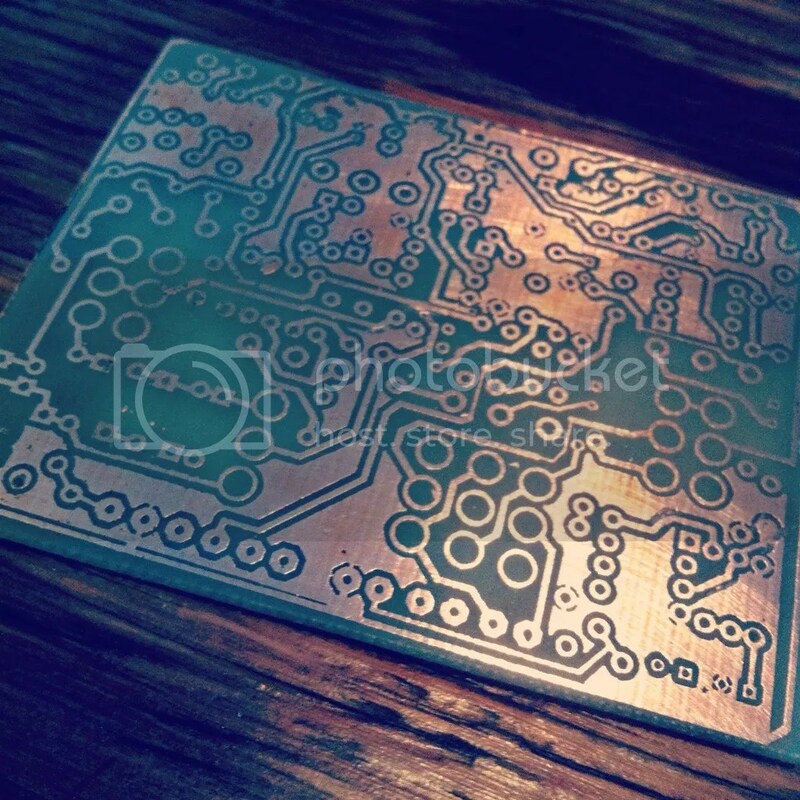 the etched layouts are halfway through.Need to rebreadboard the tone section. Gonna add a Tone [flat + humped switch]. Name changed to Sophie Rae Screamer. This entry was posted in Sophie Rae Screamer. Bookmark the permalink.